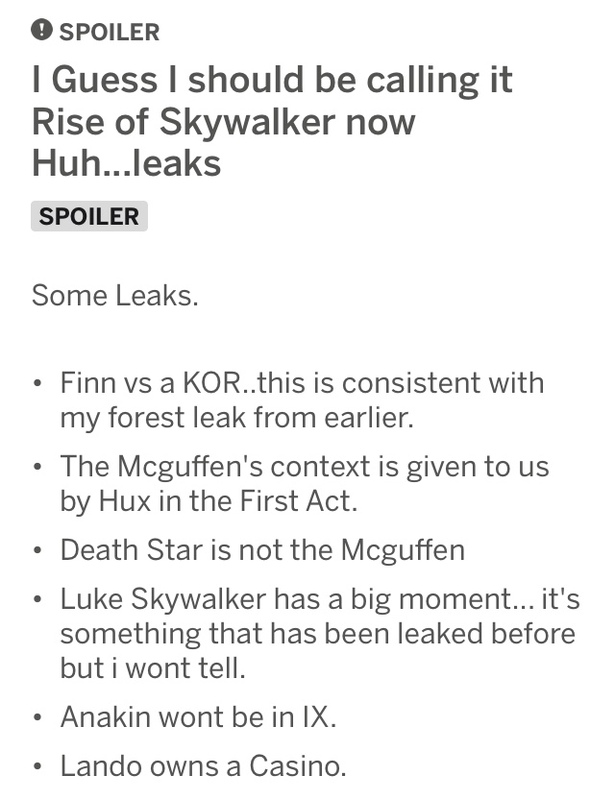 I wonder if English isn't the first language of some of the leak posters. Because otherwise the misspellings, strange punctuation, random capitalized words, odd grammar, and not even getting the movie's title right doesn't really instill confidence. I think you're forgetting something, KK said that this movie is about hope, and if the characters are cursed to repeat the same story, it doesn't sound hopeful to me. We could even say that Palpatine wins in this version. 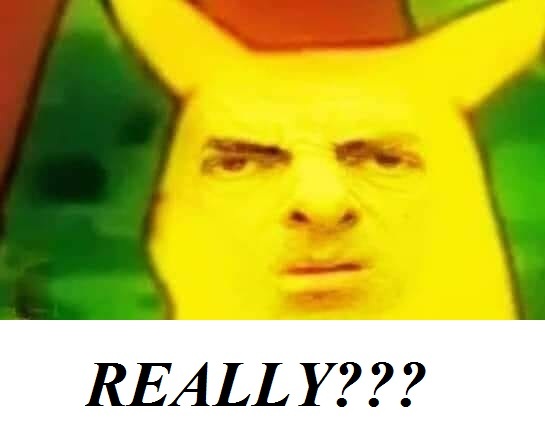 Yeah you’re right As with most of these fake leaks I believe them for 5 mins and then am over it lol! Move along , next fake leak lol. But yes hope is the message of Star Wars and they can’t end it in darkness or tragic like this plus Shmi and Rey have different accents . Baldo Ren was NEVER going to happen. Remember Colbert’s review of TFA (“The Vatican Isn’t Feeling the Force”?) in which he comments about Kylo’s hair? It has been practically its own character since the start, reflecting his state of mind, and getting a lot of press. @Kessel That image from a distance you can still see his facial expression and that's not his usual rage/angry look for being in the First Order. It's too soft for that and they've only shown it with Han, Leia, or Rey. So he's either in contemplation (and it's not happy contemplation about how being Supreme Leader rulz) or he's facing Rey. 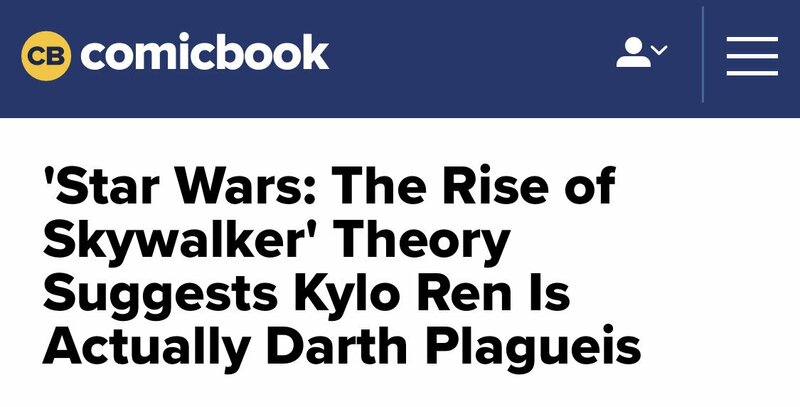 I was wondering when Darth Plagueis would appear in new theories. @LadyGaufrette wrote: I was wondering when Darth Plagueis would appear in new theories. Oh god this crack theory has stopped me from being a silent reader The next 8 months will be really tough for me Those fanboys' wild imagination is immeasurable. OK, I know I shouldn't make fun of fan theories but this is just too funny. I was writing a chapter of my fan fic that tells a story about the turn of time in which Ezra is the key that unites the past of Anakin and Padmé with the future of Ben Solo and Rey. Also in my story Palpatine and Ren's knights as great villains. The funny thing is that I thought this theory after seeing TLJ in the past 2017. In short, when I write I look for the canonical sources to which I can stick and I came across these theories. As my English is orrible I turn you on the links that are in English. In practice, in Vader's comic (which is Canon) there is a user of the dark side (Momin) who manages to come back to life (occupying bodies) through a mask and a time portal. I think that although this theory is absurd, it is not so far from one of the many choices that Disney can take from the many legends already written. I hope Ep IX can surprise me and regardless all theory ... and I hope will be an happy ending for Rey and Ben. If Lando owns a casino, does that mean we are going to everyone favorite place, Canto Bight? Lol! That would be soooo funny if we went back to canto bight just to see the look on the fanboys faces.